About 60 million Nigerians between 18 and 40 years of age may be spending up to N1.8 billion on sports betting daily, investigation by the News Agency of Nigeria (NAN) reveals. 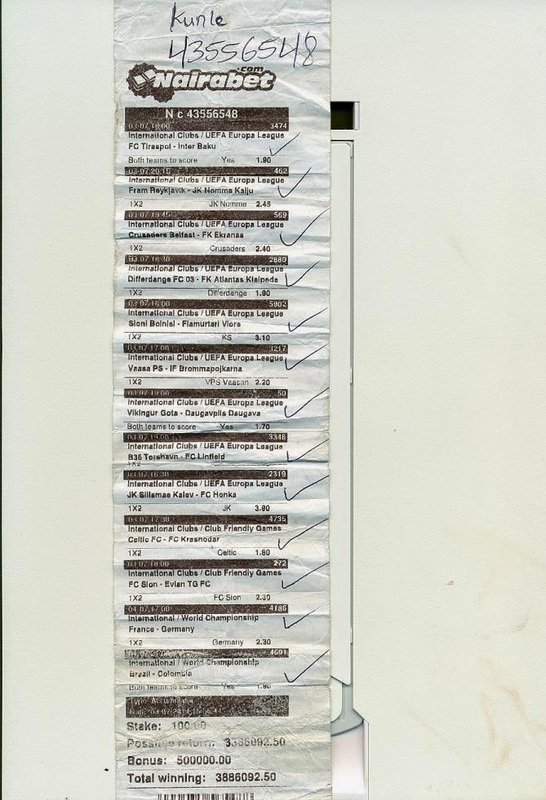 The investigation showed that they commit an the average N3,000 on sports betting daily. Dotun Ajekigbe, a sport betting analyst, said that sport betting though risky was also rewarding. Ajekigbe said that about 60 million Nigerians placed bets on different matches daily across the country. He said that most unemployed youths have taken to online and other forms of sports betting to make a living. 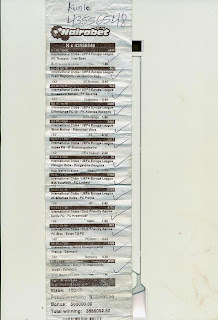 According to him, from findings this group of people stake an average of N3,000 daily. "Sport betting is gambling, not investing in bank shares. "But almost everything in life is a gamble, more so with money matters. With gambling comes risks because it not 100 per cent guaranteed. "However, you can dramatically reduce your risks by taking calculated risks only. "When you take calculated risks, you base your decisions on sound research and evidence, not intuition. "Sport betting is by chance. The better informed the player is, the better the chance he/she has of making money," he said. 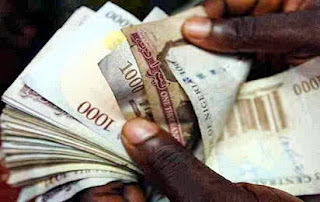 Mr Ambrose Obialor, who runs Yobo Viewing Centre, Lagos, says that some people bet between N2, 000, N10, 000 and above, depending on the individual. He said that some people denied themselves of food after spending all they had on a bet. Mr Afeez Adigun, an agent for 1960 Bet Company, Lagos, said that between 200 and 300 people visit his office to place bets on match days during football seasons. while about 150 people bet at off-seasons. According to him, a betting company can generate up to N20 million monthly and use between N5 million and N7 million to meet winners obligations in terms of payment. He also described sports' betting as very risky but highly rewarding business. A representative of another betting company, Betting World, who did not want his name mentioned, said that sport betting companies have employed about 50 youths in Lagos. He also said that betting outlets were always filled with countless young people between ages 18 and 40 who come to place their bets. The representative said that most people borrow as much as 10,000 for their daily stakes, stressing that some of them win, while others lose but returned for the next day's betting. He said that most people did not like to place bets on Nigerian matches because they were highly predictable. Mr Lanre Gbajabiamila, Chief Executive Officer, Lagos State Lottery Board, said the lottery industry was very risky but also lucrative. Gbajabiamila said that the board generated about N1 million in 2013 from about 11 sport betting companies in the state. He added that more revenue could be generated with more investment to develop the industry. "The state government has been making efforts to provide an enabling environment for the lottery industry but only 40 per cent of the industry had been tapped into. "We urge the Federal Government to create a more enabling environment for operators in the industry to increase revenue and create jobs for youths. "The major needs of the operators are improved electricity and internet provision to boost the business," he said. Na wa o. Everybody dey find quick money. Yahoo don cast as oyibo don wise so now na sports betting be the next level. Some girls are really taking these craze for BB to the extreme. A 200 Level student of the University of Benin stole a Blackberry phone said to belong to her girlfriend and was given the disgrace of her life by those around, including fellow students. It all happened when her friend started looking for her BB for over 3 hours and could not find it. This girl was asked if she saw the BlackBerry but she said No, that she hadn't seen it. Unlukily for the girl, while the discussion went on, the phone rang and she refuse picking it, it rang again and again until her friend insisted she pick it, but she refuse until argument started which led to neighbours coming to the scene. Na so the see say na the fone wey them been dey find dey with the girl. According to our amebo, them naked the girl come beat am like say she kill person. Na wa o. 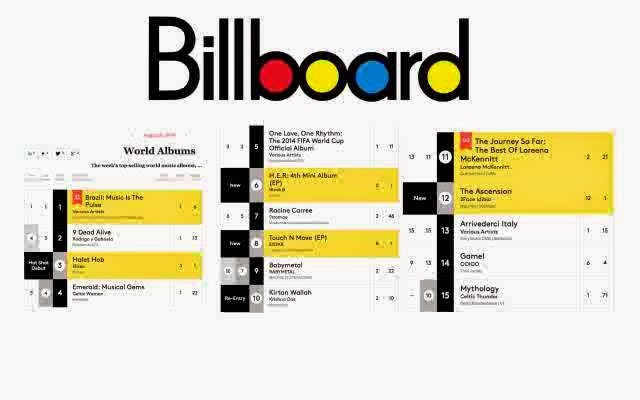 Just over a week after it's release, 2Face Idibia's 6 studio album, 'The Ascension', has reached a high at Billboard as the number 12 top-selling world music album currently. The new album features RocNation's Bridget Kelly, Machel Montano, Fally Ipupa, Kim Almarcha, Vector, Iceberg Slim and label mates, Victor Uwaifo, RockSteady and Dammy Krane. "The Ascension" will is available on Spinlet's Mobile App (Spinlet.com), iTunes, Spotify, Konga, and other digital platforms . The Economy album is marketed nationwide through Obiano Marketers for N150, while the Premium Jewel Case album (which includes a 16 page booklet) is available for sale on Konga.com for N1,000. Omo, na big big congratulations to 2baba as e no easy at all. Maybe after him gather him gather him album sales money, na to buy private jet or even yatch. Oluwa really dey involved. Keyshawn Johnson just sent out the BEST wedding invitations ever -- iPad 4s -- each pre-programmed with all of the 411 for Keyshawn's big day . Here's what we know ... the iPads were sent to several guests a few weeks ago -- and once they're powered on, a program opens informing the recipients about Key's wedding events. Also included -- a photo gallery, guestbook, and countdown to the big day.The couple also made it easy for guests to buy wedding gifts -- by including the registry right on the iPad. Of course, the woman Keyshawn is set to marry is Jennifer Conrad -- his longtime GF and the mother of 2 of his children. 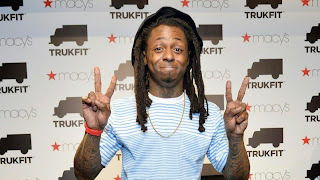 This go be the guy second marriage as him divorce him 1st wife. Menh, this world na wa o. Soon, person go use laptop or even torchlight as wedding invitation. 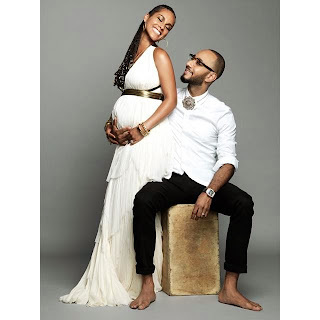 Alicia Keys and Swizz Beatz' family is getting bigger. The superstar couple has announced that they are expecting their second child together. "Happy Anniversary to the love of my life @therealswizzz!!" said the 33-year-old singer. "And to make it even sweeter we've been blessed with another angel on the way!! You make me happier than I have ever known! Here's to many many more years of the best parts of life!" Swizz shared the happy news with his Instagram followers along with a photo of him kissing his wife. "Love is life & life is love and we're so excited for another GIFT from up above. Happy Anniversary my Goddess 4 years of greatness & cheers to 100 plus more inshallah," he wrote. No forget say them been born their first pikin in october 2010 wey them name Egypt. Maybe them fot name these their pikin pacific or Atlantic. 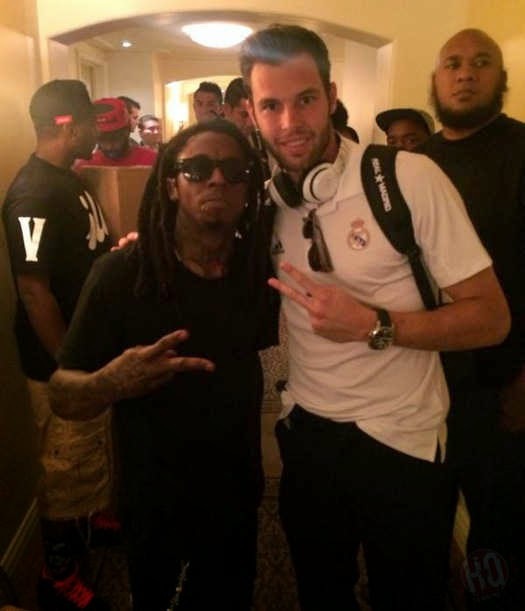 In the pics above, Weezy can be seen with Sergio Ramos, Pepe, and Jesus Fernandez Collado (who is better known as just Jesus). If you are wondering what the Spanish team are currently doing in the United States of America, they are taking place in the International Champions Cup on their pre-season tour. They have already played and lost to Internazionale on Saturday, but they are still set to play Roma tomorrow and Manchester United at the weekend. 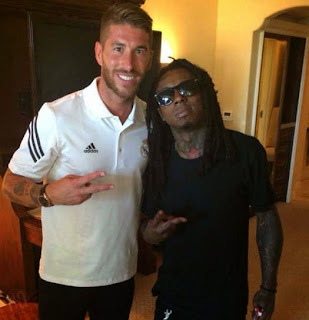 I talk am say Pepe and Ramos dey smoke Igboo and even take cocaine. 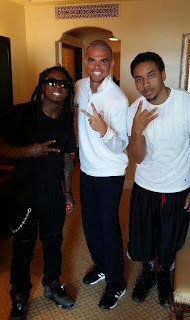 No wonder them dey chill with Lil wanye. E for don give them american weed. She said, "On Thursday morning, around 3am, while we were sleeping, we heard loud bangs on our door. We initially thought they were armed robbers because the house beside ours had recently been robbed. "When they entered, we saw they were children of our landlady. They began destroying our electronics and other property. "There were two of them. One held a knife in his hand. They took N800, 000. They descended on my husband and he also fought back. 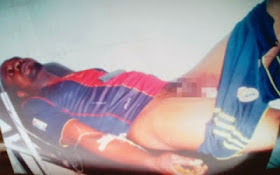 In that confusion, my husband shouted and we saw that one of the attackers had cut Yinka's scrotum. I can't say what they used to cut off my husband's scrotum." 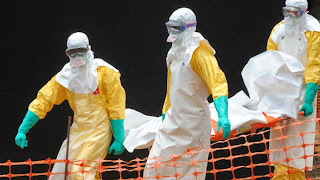 Bisi said her husband could not be admitted at a general hospital because of the ongoing doctors' strike, but was eventually taken to a private hospital in the area. "I was asked to leave the house immediately, but after the intervention of the traditional ruler of the community, I was asked to leave by the end of August. "But that decision did not go down well with the children of my landlady and they continued to make trouble with me. "I was already planning to leave their house and had even contacted an agent when they attacked me without any provocation. I want the government to fight for me," he said. He said, "We have stitched the area where the scrotum was torn. It may take up to three months before it will heal. He needs time to fully recover from the injury." He said, "I am sorry; I can't speak with you on this matter. You know the matter is already with the police and those they accused of committing the offence are in the police cell. So, what do you want me to say? I was told they are taking the matter to court. Let's leave everything to God." A source told our correspondent that a member of the suspects' family had on the morning of the incident reported a case of armed attack on them by a tenant. It was learnt that the relative was put behind the counter after the police saw the victim's injuries. Hmmmmmm, all these landlord children for Lagos like problem pass water. Well, make we dey see wetin court go talk about the matter. 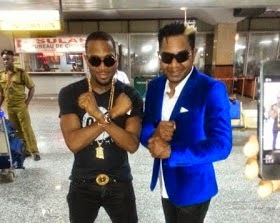 Awilo Longomba has described Nigerian ladies as busy women saying they hardly have time for fun. Awilo who said this while in Lagos said, I notice Nigerian women are hard working, and rarely have time to hang out. This statement, na compliment abi him dey yab our women? • Transmission among humans is almost exclusively among care-giver family members or health care workers tending to the very ill.
Abeg, share these information with your friends and families and no go dey talk wetin u no know about the disease before u begin put unnecessary fear for people body. 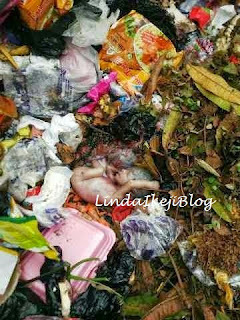 A new born baby was found laying dead in a dustbin at Hilltop Gate adjacent St Peters Chapel UNN this morning July 30th. No one around the area saw who dropped the baby. The area is mainly occupied by students from the university (UNN) so many believe that it could only have been a female student. People really get bad mind o. If you know say u wan throw-way ur pikin, them put the pikin for front of motherless babies or even front of church. This world sef eh! Mikel Obi is about to get his British passport in October, and he's turning all offers down for now to at least stay in Chelsea for him to obtain his passport first, which he is due to get in October. Hmmmm, so like this, Mikel go soon become british citizen. 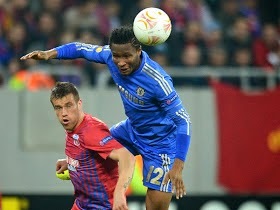 Na wa o, see our Mikel. "I noticed my eyes always scratch me and at a point my vision changed, my sight became blurring. I told my wife about it, she looked into my eyes and told me there was a growth forming in my eyes. So, we sought medical advice." The optician they visited, for medical advice, informed him that he had developed an eye cataract and that the only way it can be treated is surgery. "I went to an optician in the estate where I live who told me that it is cataract and that the only way out is surgery. Initially, I didn't know what the problem was because I have not experienced it before and it is not in my lineage. So, we went to Eye Foundation Hospital, Ikeja, for treatment. At the hospital, they said I should provide N450,000 per eye. That is N900,000 for the two eyes but I cannot afford it. I did an eye test for which I paid N130,000 pending the time I will get money for the surgery. But I have not been able to raise money and my situation is getting worse by the day." In his quest to seek alternative treatment for his eyes at no cost, Pastor Amuruche embarked on a journey to Isiukwuato LGA, Abia State, when he heard that a group of opticians flew in from the United States to help people with eye problems free-of-charge. Unfortunately, his effort to get cured was frustrated by the mammoth crowd that besieged the venue. "I spent five days there but I could not do the surgery because the crowd was much. That is how I have been going around for assistance and now it is moving to the other eye", he stated. "I have gone to my General Overseer for money to do the surgery. To get him was a problem. It was just last week that I was able to get him. But instead of giving me money to do the surgery, he gave anointing oil, prayer points and water to be washing my face. I told him that I have prayed. I have been doing fasting and have been doing vigils concerning the eyes. But it has been deteriorating. If my coming out to seek for help will lead to my sack, let him sack me and I will go instead of losing my eyes in the name of ministry. And I will not be able to minister, I will not pastor and I will be in the house and they will not pay me". Na wa o. Sha, I no blame the G.O, him give am wetin him believe in. But the pastor don tire to hear faith o, him need money. At least, make the church do something o. Imagine you winning almost Four Million Naira with N100 on NairaBET. That is what someone in Ketu, Lagos won. 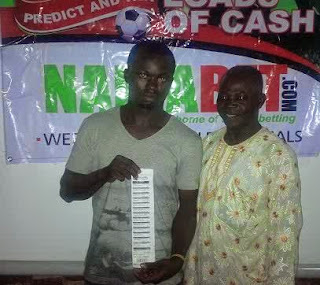 Kunle pictured with his proud dad above won close to four million naira using just N100. Chai, well, me sef don try but them no gree pay me. May be na Baba Ijebu go pay me. There's no denying that Lil Wayne is an all-out sports fanatic, but maybe that news about him starting a sports management company might be a bit premature. 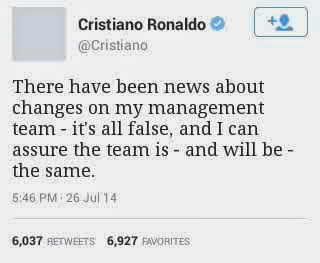 Or, at least, we can now confirm that he won't be representing soccer star Cristiano Ronaldo. TMZ previously reported that Weezy was working to launch his own sports management company, which would allegedly handle "everything from branding to marketing and endorsement deals" for Cristiano Ronaldo, but the Portuguese player has denied those claims. He made the announcement the old-fashioned way — you know, on Twitter — by simply saying that there would be no changes to his management team. Sha, if Lil wanye won dey manage sport stars, make him start with people wey neva get name as them go dey happy to work with am. 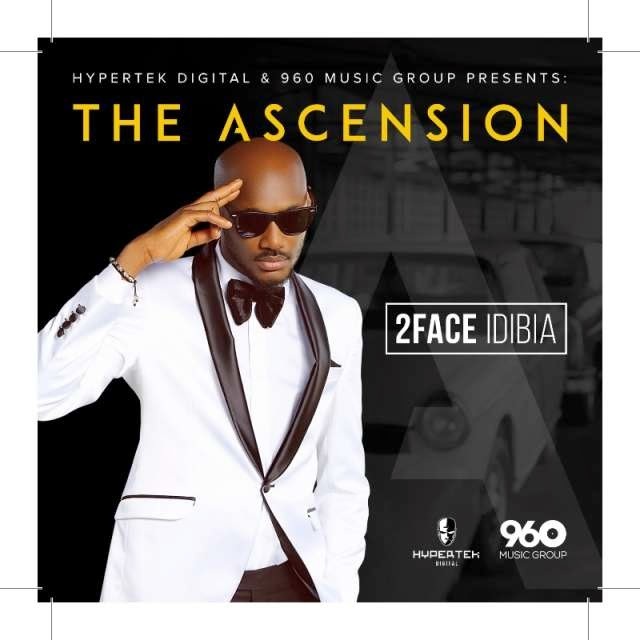 Pop singer, Innocent Idibia has finally dropped his stage name, 2face, saying that after ascending with the release of his sixth album, he has decided to change his name to Tu-baba. The legendary singer officially made this known, while performing songs from his new album,The Ascension at 'The industry Nite',on Thursday, at Spice Route Club, Victoria Island, Lagos. According to the former Plantashun Boiz singer, he would no longer be known as 2face Idibia on his next album, but simply as Tubaba. 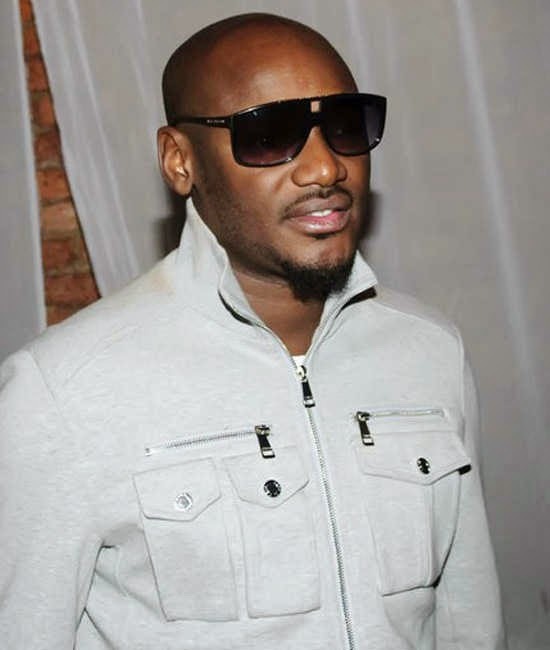 "2face has been in the industry for 17 years, and still is growing stronger. I am holding a send forth party for 2face, and after tonight's event, I will now be known as Tubaba, the African Queen crooner said. So now, no more Tuface but Tubaba and many many celebs full the event to suppport Tubaba.Celebs wey come na Olisa Adibua, Dr Sid, Timaya, Dammy Krane, Ill Bliss, Chidinma, Bizzle, Mode Nine, Bassey, Orezi, Oriste Femi, Solid Star and others.